Hyatt Hotels & Resorts has announced that an affiliate has entered into a contract with the Tamdeen Group to develop a Grand Hyatt hotel in Kuwait. Expected to open in 2020, Grand Hyatt Kuwait will become the fifth Grand Hyatt hotel in the Gulf region, after the opening of the Grand Hyatt Abu Dhabi in 2016.The 261-room hotel will be an integral part of the extension of the 360 MALL which will also include the Sheikh Jaber Al Abdullah Al Jaber Al Sabah Tennis Complex. 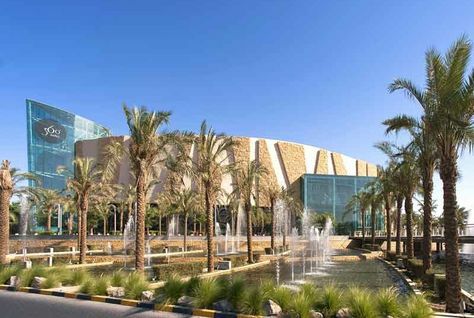 "Kuwait is increasingly becoming a major gateway city and resort destination, so we are delighted to announce we will be bringing our Grand Hyatt brand to this global business and cultural hub," said Peter Norman, senior vice president, acquisitions and development for Hyatt - Europe, Africa, and Middle East. "We are honoured to work with Hyatt as the brand continues to expand its presence in the Gulf region," added Mohammed Jassim Khalid Al Marzouq, chairman, Tamdeen Group. "Our first project with Hyatt will bring the hospitality aspect of our mall expansion to life as 360 MALL expands as part of the prestigious international tennis complex launched last month. "Grand Hyatt Kuwait will offer standard rooms of 40 square metres, four food and beverage outlets, plus meeting and events facilities. ----It all sounds so nice, until parking becomes a nightmare! A lot of five star hotels are opening across Kuwait, Four Seasons, Intercontinental, Millennium, the new hotel at the Avenues and now Grand Hyatt.